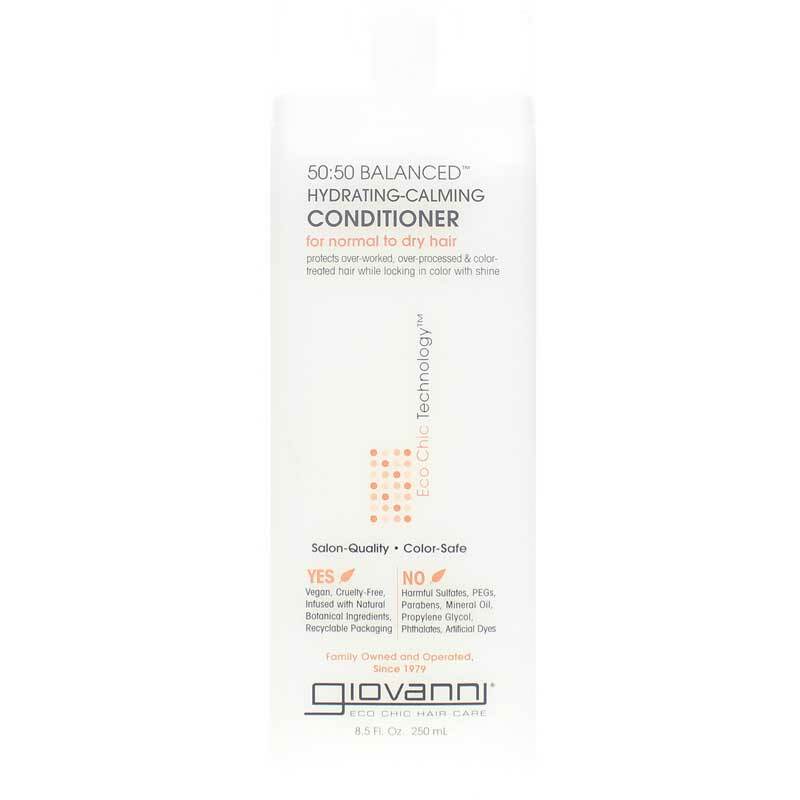 50:50 Balanced Hydrating-Calming Conditioner with EcoChic Technology* from Giovanni Organic Hair Care is designed to protected over-worked, over-processed and color-treated hair while locking in color with shine. 50:50 Balanced Hydrating-Calming Conditioner is ideal for reawakening dry hair to the wonders of moisture. This conditioner works its magic on a daily basis. It contains a blend of organic ingredients and protection factors that make dull hair the life of the party! *Contains a blend of organic oils, ripe-harvested from renewable plants at the peak of their freshness, cold pressed and refrigerated immediately to ensure maximum purity. It infuses each individual strand of hair with vitamins, nutrients and protein for strength and vitality. 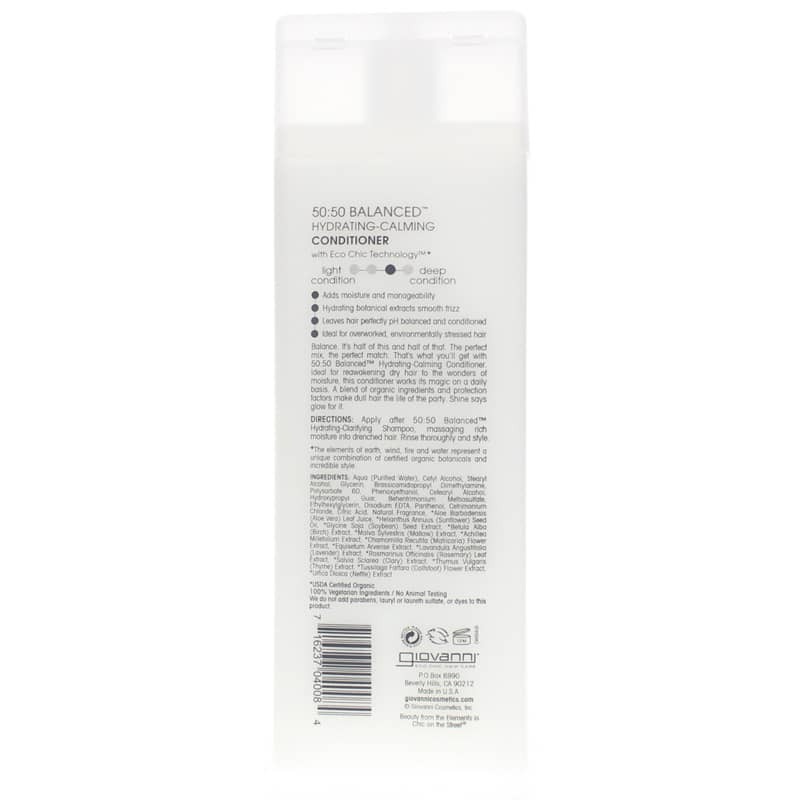 Apply after shampooing with 50:50 Balanced Hydrating-Clarifying Shampoo, massaging rich moisture into drenched hair. Rinse thoroughly and style. Conditioners tend to flatten my hair. I received Giovanni conditioner and shampoo as a gift a few years ago and continue to use both because they leave my hair shiny looking and NOT flat. Both have a pleasant scent and hydrate my hair without making it feel greasy. Of course, I also like the eco aspect. It's amazing as a detangler. You only need to use a little of the product for effectiveness. I will always repurchase because it makes my wash day easier.